The state-owned Bases Conversion and Development Authority (BCDA) said it welcomed and looks forward to the congressional investigation on Camp John Hay following a decision by the Philippine Dispute Resolution Center Inc. (PDRCI) for the Sobrepeña-led Camp John Hay Development Corporation (CJHDevCo) to vacate Camp John Hay and turn over all its facilities and buildings in tenantable condition to the BCDA. In the same PDRCI decision, the BCDA is to return P1.42 billion in lease payments to the CJHDevCo. “We have nothing to hide, in fact, our best defence is truth and transparency,” BCDA President Arnel Paciano D. Casanova said. He said the congressional investigation will allow the BCDA to give its side of the story especially the separate opinion penned by PDRCI Arbitrator Teodoro Kalaw IV who stated that CJHDevCo should pay BCDA P2.4-B because CJHDevCo has expressly acknowledge to owe BCDA P2.4-B at the time of the execution of the 2008 Restructured Memorandum of Agreement. Casanova said he looks forward to the congressional investigation because it will compel the Sobrepeña-led CJHDevCo to submit for scrutiny their financial records and other pertinent documents that the BCDA has constantly requested but to no avail. “A congressional investigation will definitely shed light on why and how our government is being deceived by a supposed private business partner in the development of John Hay,” Casanova said. “The public deserves nothing less than the truth,” he added. He said the congressional investigation would also expose how CJHDevCo has been misleading the buyers, locators and sub-lessees of Camp John Hay by giving them wrong information so that the buyers will not file cases against them. He cited various newspaper advertisements by CJHDevCo misinforming the buyers of the legality of their 50-year lease hold rights. Flores reiterated that the lease period of CJHDevCo is 25 years, renewable for another 25, as provided under Art. XIII Sec.  3 of the 1987 Constitution of the Republic of the Philippines, and not a 50-year straight lease. “The problem is, the sub-lessees and unit owners may have already paid CJHDevCo for 50 years.” Flores said. Casanova also said that the congressional probe will also show how sincere the BCDA is to protect the rights and interest of the buyers, sub-lessees and locators. Earlier, Casanova said the last thing BCDA wants to happen is for their contracts to be a worthless piece of paper like what happened with the College Assurance Plan (CAP).” Casanova said. Casanova urged the buyers, sub-locators, hotel unit owners and sub-lessees to run after the CJHDevCo. He said that the only way for the CJHDevCo’s victims to recover their investments and protect their interests is to lay claim to the P1.42-B. House Resolution 1936 authored by Quezon City representative Winston Castelo (LP, 2nd district) seeks a congressional probe into the management and operations of Camp John Hay. CJHDevCo is chaired by Robert John Sobrepena, who also owns and manages the College Assurance Plan, the pre-need company known to have defaulted on its obligations to plan holders, and the Metro Rail Transit Development Corporation (MRTDevco).